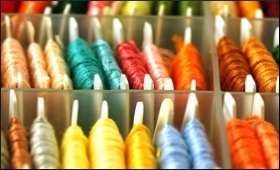 Textile industry body CITI has welcomed the new Textile Policy 2019 announced by the Government of Tamil Nadu. Thiru. Edapaddi Palanisamy, Hon’ble Chief Minister of Tamilnadu announced a comprehensive Textile Policy 2019 for the Tamil Nadu Textiles and Clothing Industry. The policy gives a slew of incentives for the new investments and also for modernising the existing spinning sector. T. Rajkumar has appreciated the Government for giving importance to the Technical Textile Sector, Skill Development, Textile Processing and Weaving Segments. He has also welcomed the incentives offered for the textile effluent treatment plants, mini textile park, up-skilling and infrastructure development. T. Rajkumar also appreciated the Government for providing assistance to build workers’ hostel. He stated that the unique textile policy would greatly help the state to further strengthen the competitiveness. He also stated that the new textile policy was a long overdue demand of the textile industry.